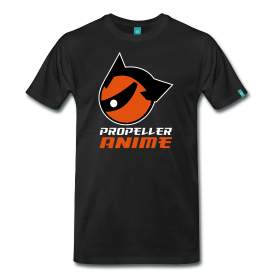 Propeller Anime: It's MANIME! Theater at A Comic Shop on 2/25! This Saturday, February 25th at 4PM is our meeting at A Comic Shop at 114 S. Semoran Blvd Winter Park, FL 32792. 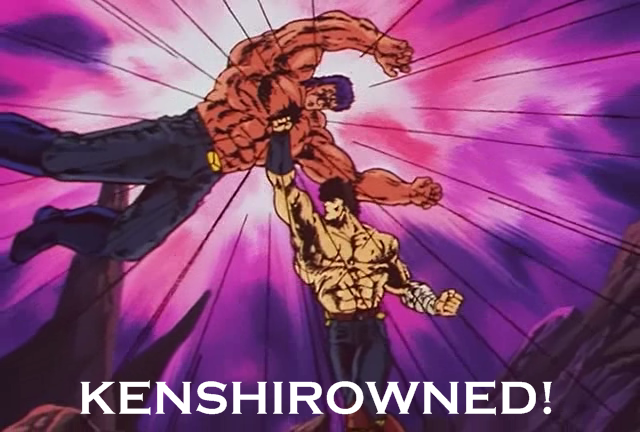 We'll be there for a few hours of beer, beef jerky, headbutts, and MANLY ANIME. 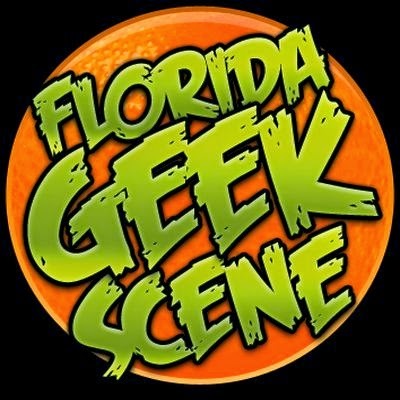 The reason we are doing this event is because it ended up being canceled Saturday night at MegaCon. We were informed that Vic Mignogna, enemy of all things manly, was to have a meet and greet in the same room at the same time. Oddly enough, Vic never showed up. However, because he was supposed to show up, the screen and projector were taken out to be used for the Cyberia dance. 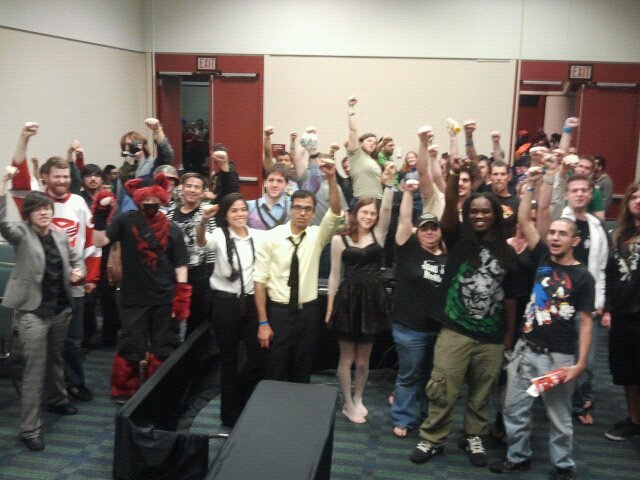 We had a great turnout of people who wanted to watch anime at a convention who unfortunately were let down. We hope many of you can come out but we also know that many of you are from out of town or may not be free Saturday. We're going to use the above photo to show conventions that this is an event worth having on their schedule. If you want to make sure this happens at MegaCon next year with no problems, e-mail Beth at info@megaconvention.com. For those who can come, we hope to see you badasses this Saturday at A Comic Shop! You can like Propeller Anime on Facebook, follow us on Twitter, and keep us in your Google+ circles!